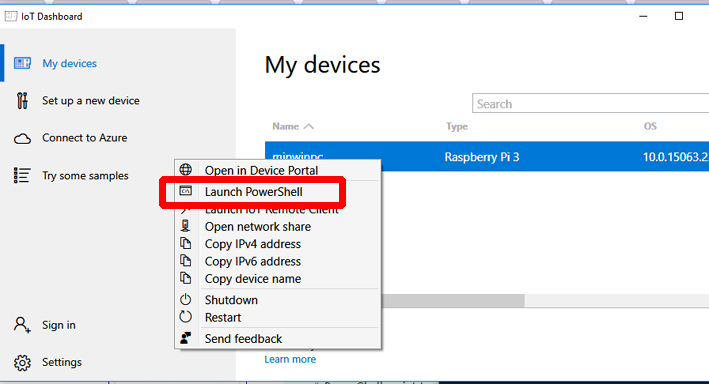 Does anyone know how to disable the Wi-Fi interface on Windows 10 IoT for the Raspberry Pi 3? Right click on pictures and choose open in new tab to get a bigger view of them. Run up IOT Dashboard and under Devices, Right click on your Raspberry Pi and choose Launch Powershell. Put in the Admin password when prompted. 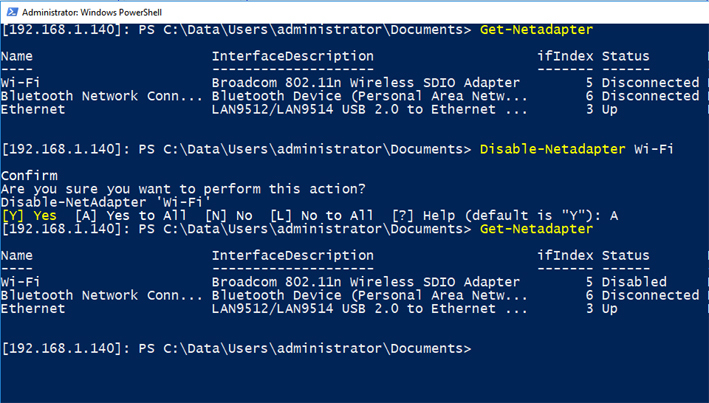 It can take a few seconds to connect, but when it does you should get a command prompt. The do another Get to check if it is disabled. Should stay disabled after a reboot also. I need also to disable the WiFi on my Rasperry Pi Model B. Unfortunately, always Powershell hangs when I try to connect to my Raspberry Pi (S.O. 10.0.17763.107), so I am not able to try this solution. 1- using SSH: which commands to use in order to disable wifi ? 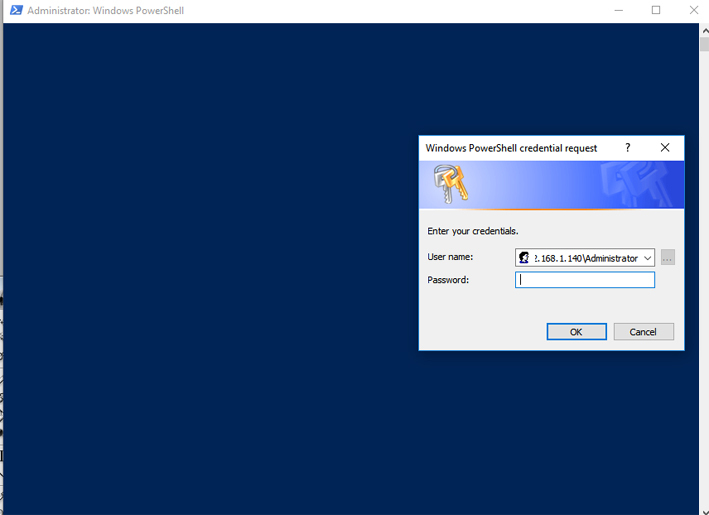 2- succeeding in using Powershell: why Powershell hangs ?